It is not like any other city in the world, and yet it isn’t different. 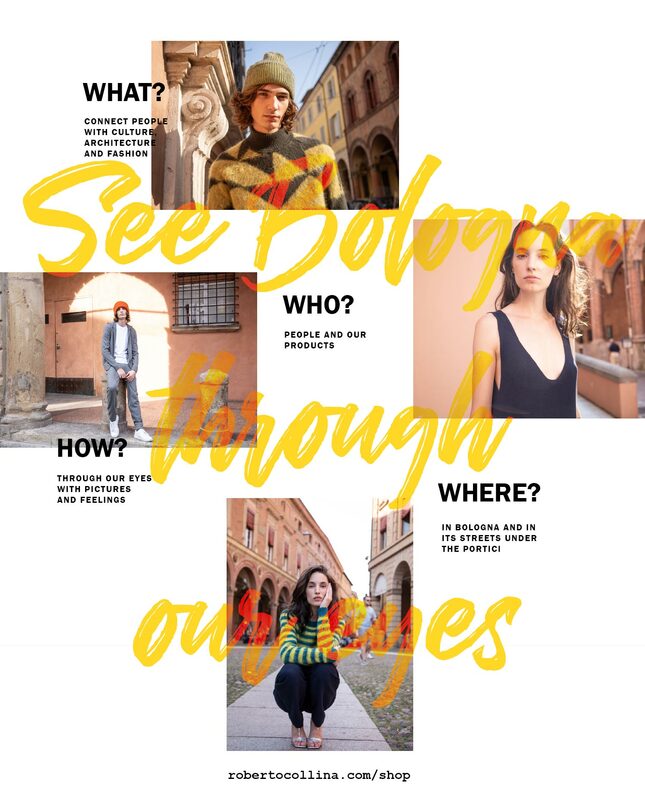 Bologna, loved, dreamt of and seen through the eyes of a brand that was born there, grew there and has never really left there. Because Bologna is a rule, mostly of style. Natural, honest, real, simple and intense. A city that you just can’t leave, where you can get lost by looking up to see whether the Torre degli Asinelli is really touching the clouds, where you should walk around with your ears open so you can listen to the tales that people tell under the portici, conjuring up stories,magic and dreams. Close your eyes and be inspired like us by the images from our new eCommerce shoot.Let the journey begin!